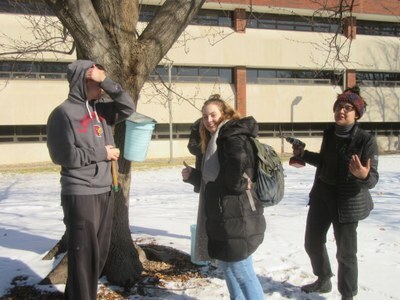 Join us in UofL's sustainable garden to learn about the process of tapping maple trees and making maple syrup. Our workshop leader, Dave Barker, has been tapping trees and making his own syrup in Louisville for years. He will give a brief, hands-on workshop on the process and then attendees will get to work with him as we install taps on our own maple trees located in the Garden Commons and around campus. Participants will have the opportunity to sign-up to volunteer to empty buckets as they fill throughout the coming weeks. Please dress warmly so we can work outside!